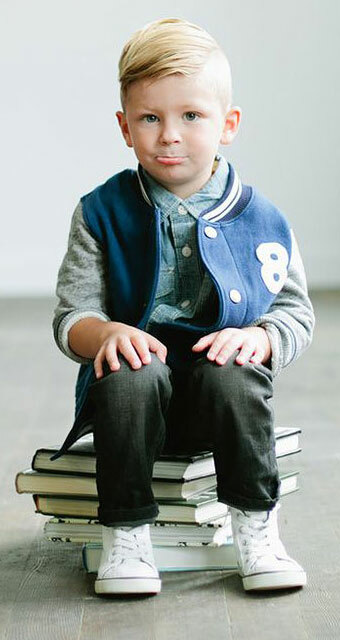 Looking good for that first day of class and beyond is the goal of every kid, and their parents, walking through school doors this fall. 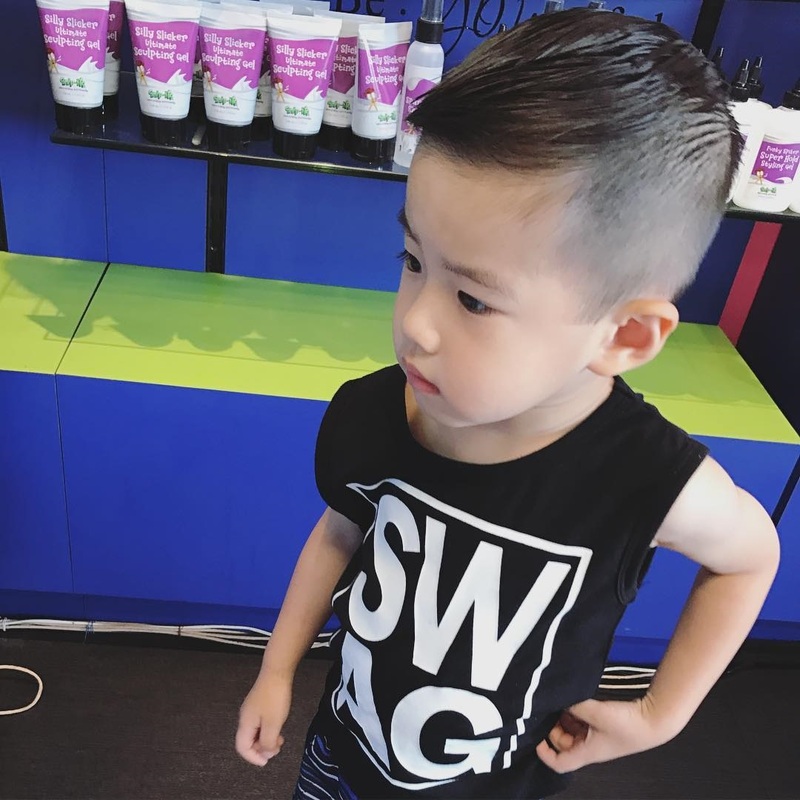 Snip-its Haircuts for Kids has the tools and trends to make that dream a reality for your little one. 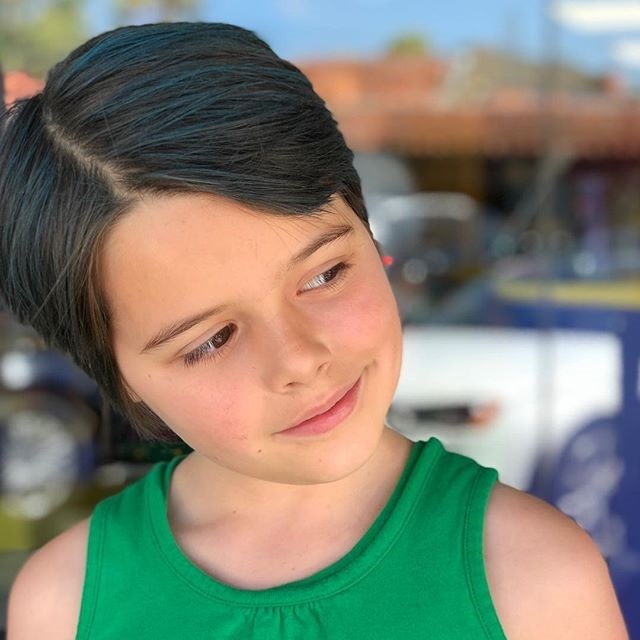 This year, back-to-school hair and fashion trends for your kiddos are all about individuality: stylized and fun looks to keep the school year fresh and interesting. 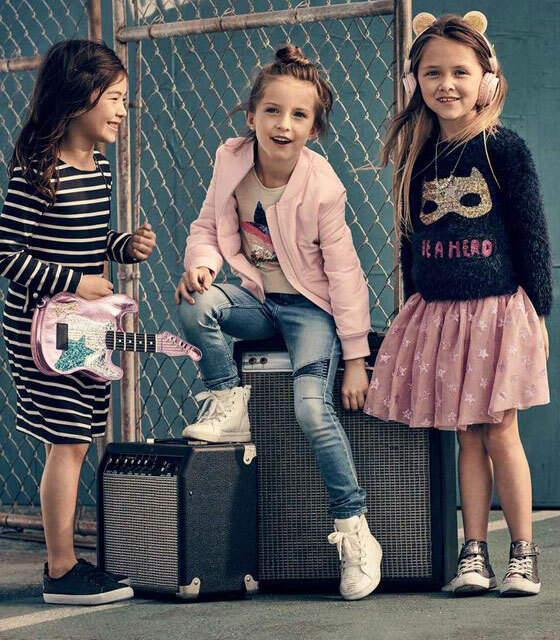 Transformation and short styles are all the rage for girls this fall. 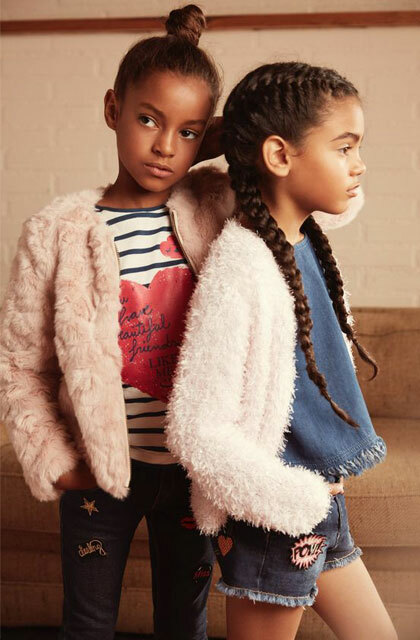 Girls with longer locks can still get that personalized style with intricate braids and pigtails. Adding temporary color streaks or tinsel strands will amp up their individual creativity! 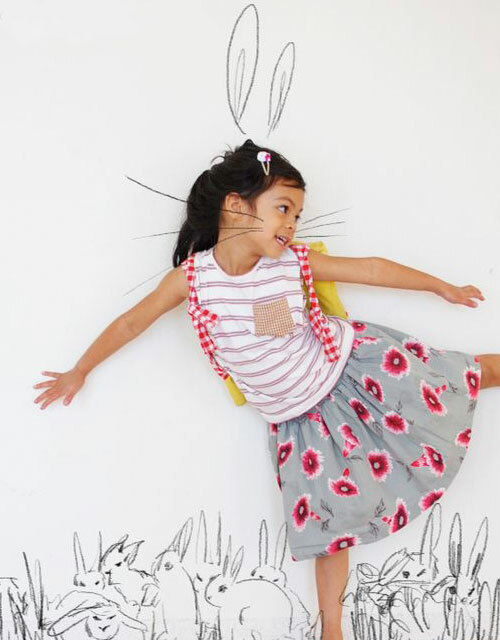 Girl Power t-shirts are in, as well as denim everything and floral prints. 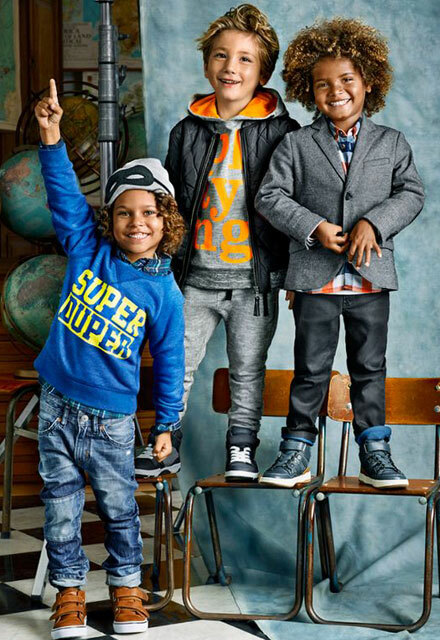 Both boys and girls are rocking the retro 90s style and urban sporty looks. 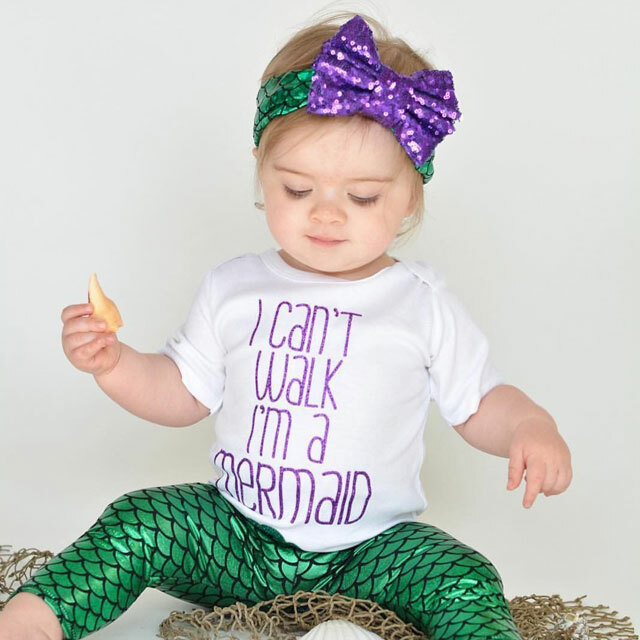 Pastels, rainbows and all things unicorn or mermaid round out all that panache for your little divas. Textured crops, tappers or fades and long side bangs are still trending this year. Whether you take those bangs and leave them messy or natural in front, or sweep them back for textured height—your dapper dude is ready for whatever the day may bring. 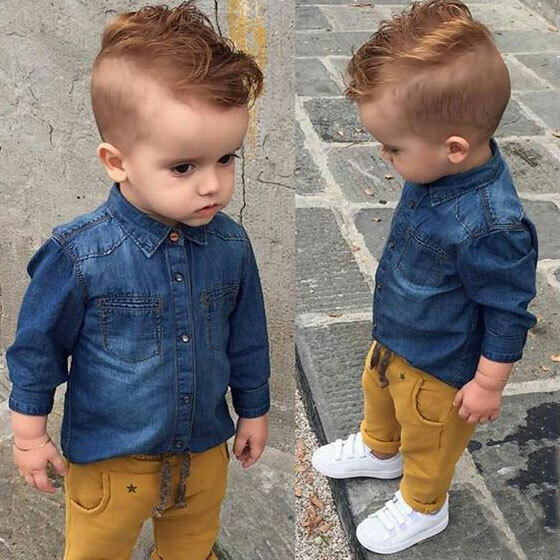 Temple fade haircuts give the look of longer and natural tops, while keeping the sides clean and short. Beach guys continue to trend high with board shorts and the urban sporty look. 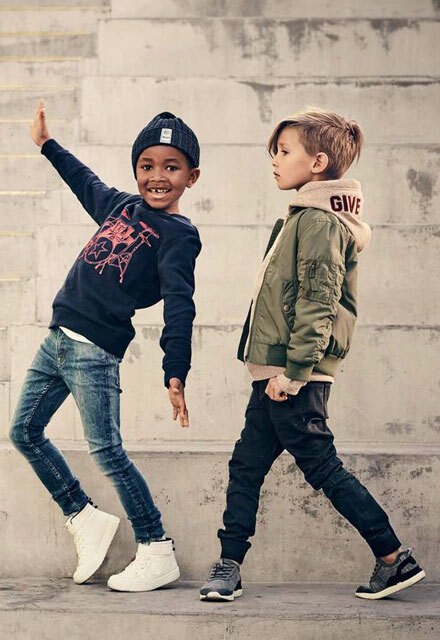 Denim continues to be a comfortable and trendy back to school necessity, while the retro 90s style with rips, distressed fades and plaid round out the fashion trends of your little fellas. 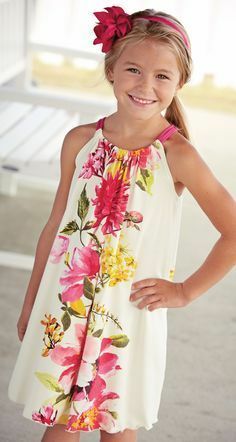 Bows, scarves and hats continue to call out individual style for both boys and girls, while backpack charms are one of the best ways to add-on a splash of creativity perfect for back-to-school. 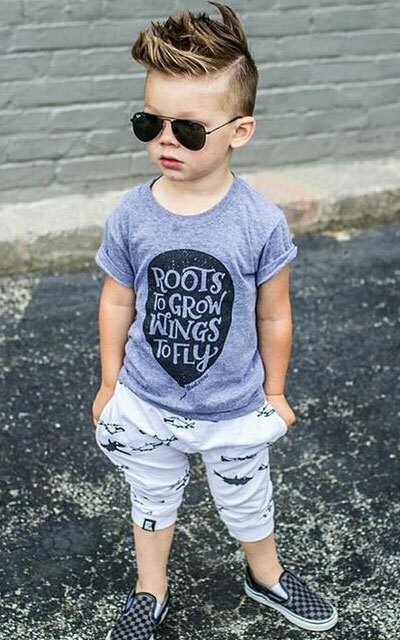 Stop into Snip-its and learn about trends, styles and products that will make your children be just as unique and awesome as they want to be! 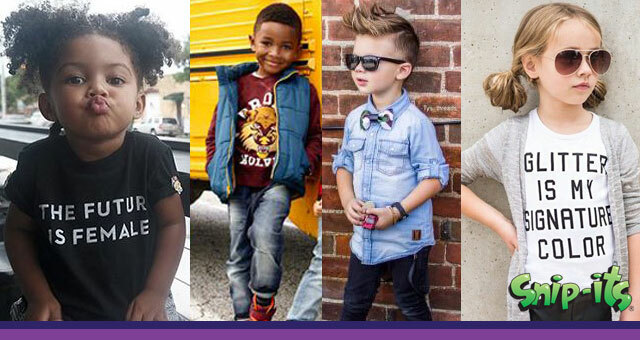 Our Kids’ Hair Experts are ready and waiting.